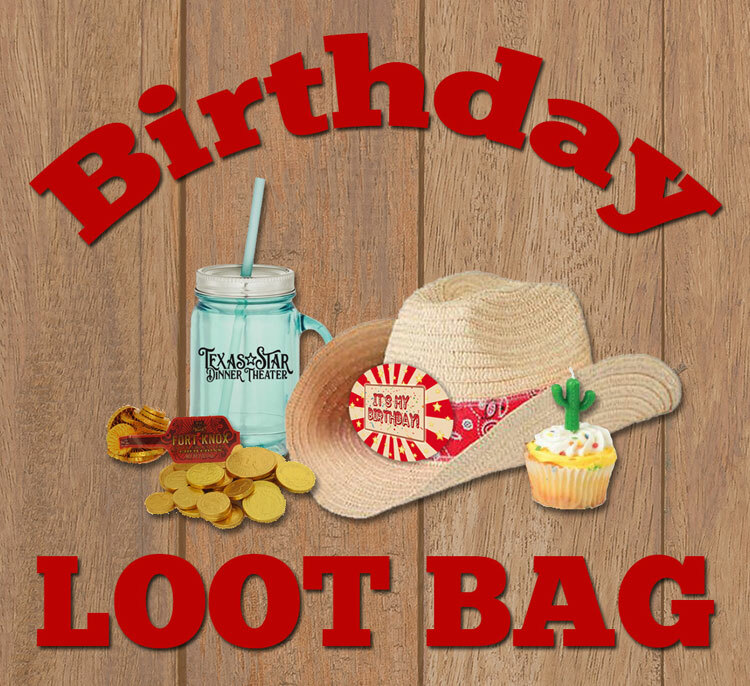 Guests can pick up their Birthday Loot Bag at front counter upon check-in. **Does not include cupcake. Western birthday candle shapes may vary. Chocolate coins may contain traces of peanuts, tree nuts, and soy.